Commonly known as the ‘Black Dolphin,’ Penal Colony No 6 holds Russia’s worst murderers, terrorists and cannibals. RT offers a rare glimpse inside the maximum security prison, where inmates are subjected to rigid rules devised to subdue even the most dangerous villains. 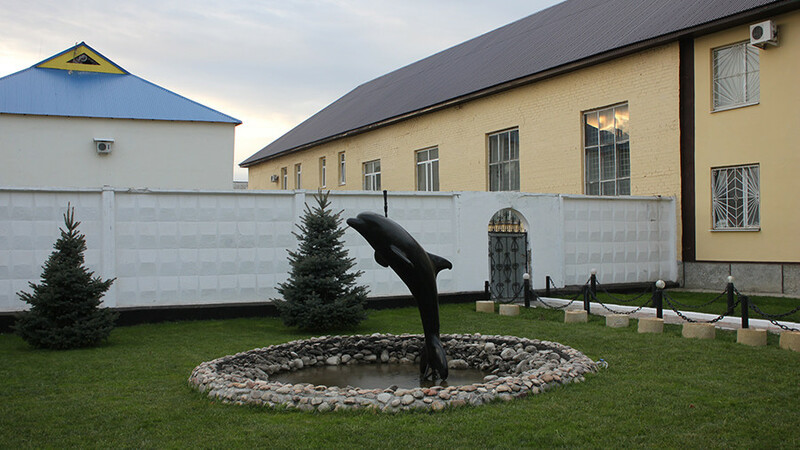 Located in the Orenburg region bordering Kazakhstan, Black Dolphin is one of Russia’s oldest prisons. Established in the 18th century following a bloody uprising known as the Pugachev rebellion, it later served as a prison hospital for inmates. In 2000, it was transformed into a maximum security prison. The facility, designed to hold 1,600 inmates, got its unofficial name from a fountain with a black dolphin set before the main entrance. This otherwise unremarkable sculpture is said to instill terror in the hearts of the most hardened criminals, thanks to the jail’s ruthless reputation. Black Dolphin holds serial killers, child molesters, terrorists and a motley crew of evildoers, serving life sentences for crimes ranging from murder to cannibalism. Some of the inmates being held in the correctional facility have committed crimes so grave that they have zero chance of parole. RT’s Murad Gazdiev traveled to the heavily guarded facility and was granted exclusive access to speak with inmates and staff. “The most important thing is to avoid becoming embittered. It is so easy to turn into an animal here. But staying human [is] harder. That's why we try – both with each other and with the administration – to stay human,” one of the inmates, Igor Tischenko, told RT. Sentenced to life imprisonment over a deadly shootout with a rival gang, Tischenko and his father, who is also incarcerated at Black Dolphin, killed seven people and injured eight more, including witnesses. “You ask me if I would do it again? I’ve thought about it. It would have been better if I had died with them. I probably wouldn’t do it,” he says now. Some of the people held at Black Dolphin have committed atrocities that are beyond belief. 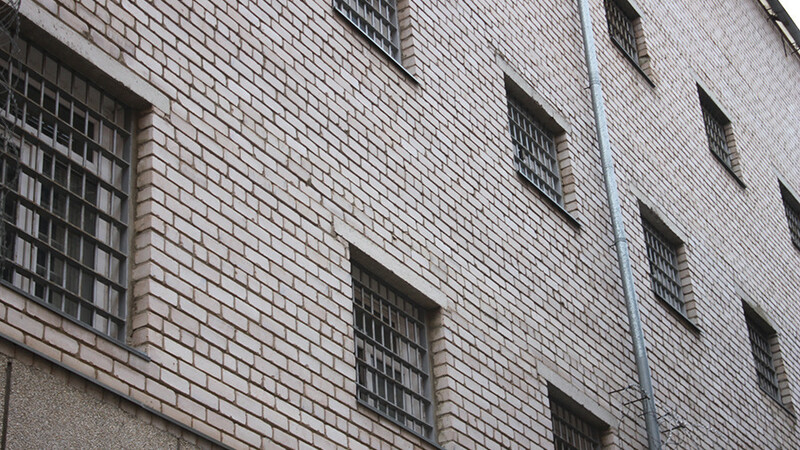 Life sentences in Russia are usually reserved for crimes of such brutality they defy reason, and the people housed in this prison are considered a permanent danger to society. There are currently more than 700 inmates sentenced to life in this jail, who in total have killed almost 4,000 people. And those are just the ones that were solved. Every cell door has a detailed description of the inmate’s crimes – all the rapes and murders – so that any sympathy the guards might feel disappears immediately. 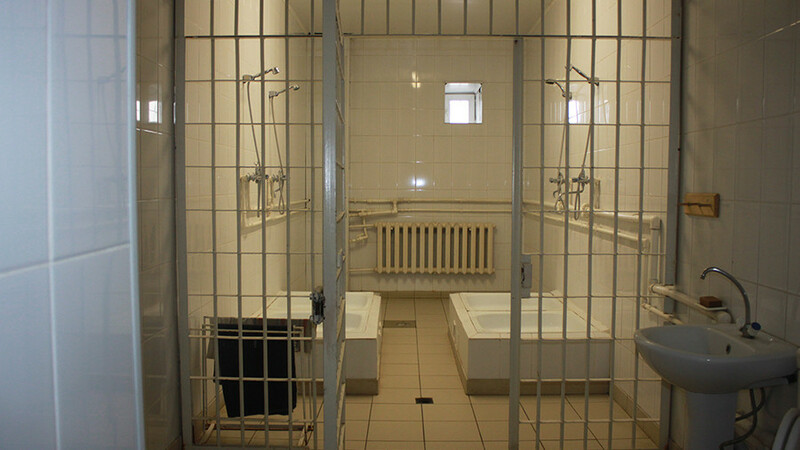 “Because the prisoners in this category are extremely dangerous, everything we do – from quarantine to carrying out the sentence itself – is regulated by law, and our own procedures,” Yury Korobov, the deputy prison chief, said while explaining the prison rules. The inmates are held in cells with several thick steel doors as well as additional steel bars separating the living space from all doors and windows – effectively creating a cell within a cell. No cubicles are located on the ground floor to rule out any possibility of inmates tunneling their way out. Prisoners are always escorted handcuffed and bent over at the waist and sometimes blindfolded, so that they cannot even map out the prison’s layout. The life of inmates is however not as bad as it may seem. The cells are equipped with TV sets. Also allowed are books and newspapers, and the convicts can access the library located within the prison. The facility also has a church which was built and painted by the inmates themselves. Prisoners are also allowed to make phone calls and meet with relatives and friends. They are allowed visits four times a year, with one visit lasting for up to three days. Special computer terminals have also been set up in Black Dolphin, when prisoners can now review their cases, register complaints about abuses or apply for work. 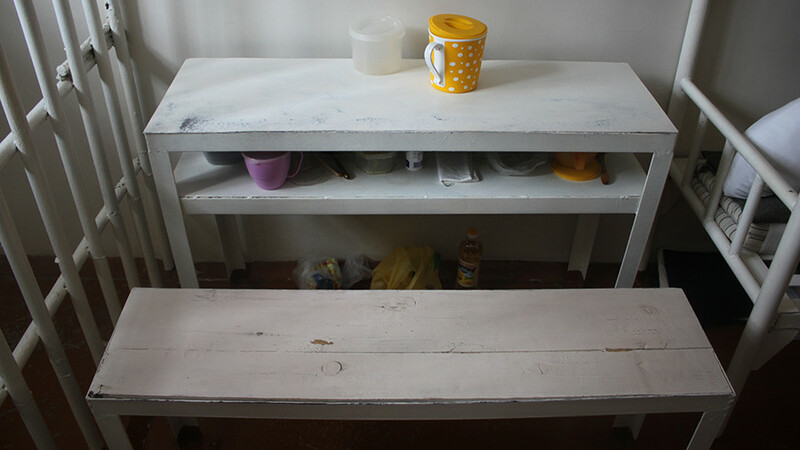 They can work in the wood shop or on sewing machines to earn money to buy extra food or personal items, as well as to pay compensation to victims of their crimes. However, control within the prison walls is maximum. All inmates are under twenty-four-hour surveillance. All the cells are fitted out with CCTV cameras and the lights there are always on. Every 15 minutes, a prison guard makes a round and checks the situation in each cell. The jail’s tight security regime means that in more than a half a century, no one has ever escaped from the Black Dolphin.